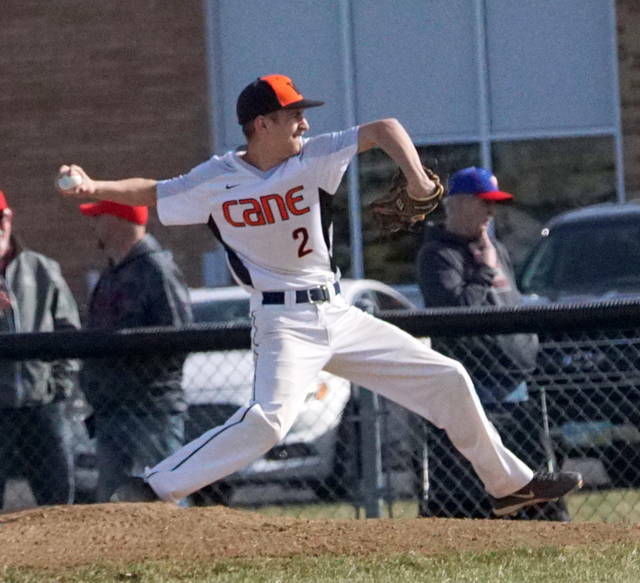 WILMINGTON – Matt Spears went the distance on the mound as Wilmington defeated Goshen 4-3 Wednesday in SBAAC American Division baseball action. Spears gave up two earned runs. “He’s had two good starts for us, but today was his best,” WHS coach Brian Roberts said. Jake Vaughan collected three hits and drove in two runs. Jordan Tackett had a hit and knocked in a run.